AN ISO 9001:2008 Certified Company 3rd Largest Exporter, Suppliers, Buyers, Dealers & Manufacturers of DIN EN 1092-1 PN-63 Flange and high nickel alloys. DIN EN 1092-1 PN-63 Flange like Weld Neck Flange, Threaded Flange, Slip-On Flange, Lap Joint Flange, Socket Weld Flange, & Blind Flange produced in our Mumbai factory, carries a promise of quality and consistency. Excel Metal & Engg. Industries continues to meet customers’ needs through global quality standards from original design to distribution. Excel Metal & Engg. Industries manufactures to global standards. We are one of the leading importer, stockholder, suppliers & exporters dealing in DIN EN 1092-1 PN-63 Flange since 1990. When procuring raw materials to manufacture DIN EN 1092-1 PN-63 Flange, our primary responsibility is to ensure that same quality and consistency exists in our supply base. Excel Metal is excellently equipped for the production of tailor-made, high-grade flanges. In our forging shop, an advanced, automatically controlled steel bar furnace with a length of over 12 m heats the raw material up to approx. 1,100°C before rings or flanges with an outside diameter of up to 2,800 mm are formed using our face plate bending machine. * For flanges type 21 the outside hub diameter approximately corresponds to the outside pipe diameter. 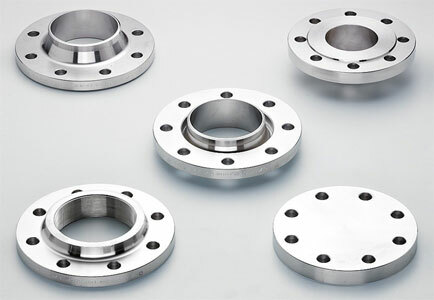 DIN EN 1092-1 PN-63 Flange exporter, manufacturer & suppliers of in Dubai, Saudi Arabia, Qatar, West Africa, Russia, Kuwait etc. Exporter & Suppliers of DIN EN 1092-1 PN-63 Flange Manufacturers Buyers Importers Suppliers Exporters Dealers Distributors Traders in India, Dubai, Saudi Arabia, Qatar, West Africa, Russia, Kuwait etc., We Have More Then 10000 Client of Pipe Fittings & Flanges in USA, UK, Europe, UAE, Saudi Arabia (KSA), New Orleans, Venezuela, Houston, Texas, South Africa, Asia, Peru, Brunei, Italy, France, Indonesia, Fiji, Singapore, Malaysia, Doha, Qatar, Thailand, Ireland, Canada, Australia, UAE, Bahrain, Italy, Indonesia, Malaysia, United States, Mexico, Chine, Brazil, Peru, Nigeria, Kuwait, Jordan, Oman, Muscat, Dubai, Thailand (Bangkok), Venezuela, Iran, Germany, UK, Canada, Russia, Turkey, Australia, New Zealand, Sri Lanka, Vietnam, South Africa, Kazakhstan, (KSA) Saudi Arabia, Jeddah, Libya, Yemen, Algeria, Angola, Congo, Kenya, Sudan etc.